Master the fundamentals of leadership - at every stage in your career. Often, when leaders experience trouble, they look to blame an outside source or expect a small tweak to right their ship. But many times they've actually lost their grip on the very basic foundation of leadership. The business environment may change, but no management trend can displace the core laws, proven over centuries, of excellent leadership. 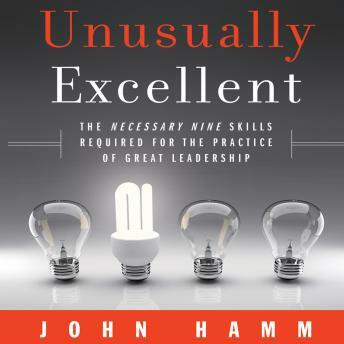 Unusually Excellent is an essential resource for leaders that brings these fundamentals together in a new and comprehensive way. This audiobook will help leaders at any level keep their focus on the bedrock principles that will make them extraordinary. Using a sports analogy, the author breaks the work of leaders into three parts: pregame: a matter of character; game day: a matter of competence; and postgame: a matter of consequence.